Friends By Chance directed by Francesco Bruni (Italy) 2017 is an intergenerational drama. Allessandro hangs out with a small group of young men who seem to have little going for them. His father insists that he work as a caretaker for an aging poet with Alzheimer’s. Though he’s resistant at first, the two develop a warm relationship beneficial for both. 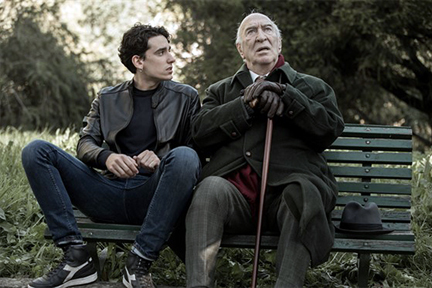 The film is one of the narrative features of New Italian Cinema 2017. Two of the films in New Italian Cinema 2017 offer fresh views of outsiders in modern society. There Is A Light directed by Fabio Mollo (Italy) 2017 deals with an unconventional relationship between a gay man and a straight woman. Together they travel through Italy and significant moments in their personal journeys. Fortunata directed by Sergio Castellitto (Italy) 2017 revolves around the hectic life of a young mother and independent hairdresser who wants to open her own shop. Both films are about dreams unfulfilled and obstacles that must be overcome. Italy is quite conservative. Traditional gender roles are still prevalent. Moral judgment is more influenced by family expectations than religious concerns. A willingness to look at current reality is a prerequisite for change. 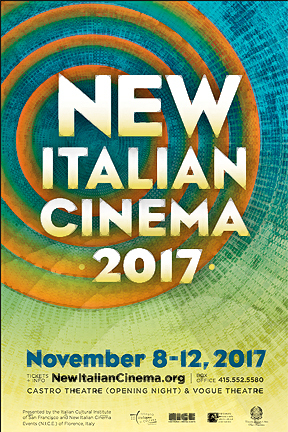 More information and tickets for the NICE 2017 festival in San Francisco is available at New Italian Cinema.